The average wedding budget is close to $30,000. So, when it comes to planning your wedding favors, it’s OK to want to think small. But just because you’re on a budget doesn’t mean your favors can’t be both creative and fabulous! Here, we’re showing you the top five reasons why match boxes are the ideal wedding favors. Especially if you’re crafty, you can have a great time creating personalized match boxes that your guests can take home with them. Include glitter, pictures from magazines that reference inside jokes, and even tiny photographs of other couples attending your wedding. Your guests will love them so much that they’ll request them for birthday gifts in the future! News flash: match boxes don’t have to contain matches. We love the idea of rolling up special thank you notes inside. Also, consider filling them with commemorative items like beads from your wedding jewelry (for the bridal party) or confetti that guests can throw as you make your exit with your new husband or wife. Being single at a wedding can be really fun – but it can also be really awkward. Just because you’re “matched” doesn’t mean all your friends are! Enjoy a play on words and create your own “match game” out of your match boxes. Write the name of the guest you think your friends could get along well with, and roll up one icebreaker question they have to ask inside the match box. Then, let the guests find their matches, and see what happens! Not only will your guests have fun, they could just be thanking you for playing matchmaker at their own weddings in the future! Is a close friend of yours, or someone in your wedding party, hoping their significant other pops the question sooner rather than later? 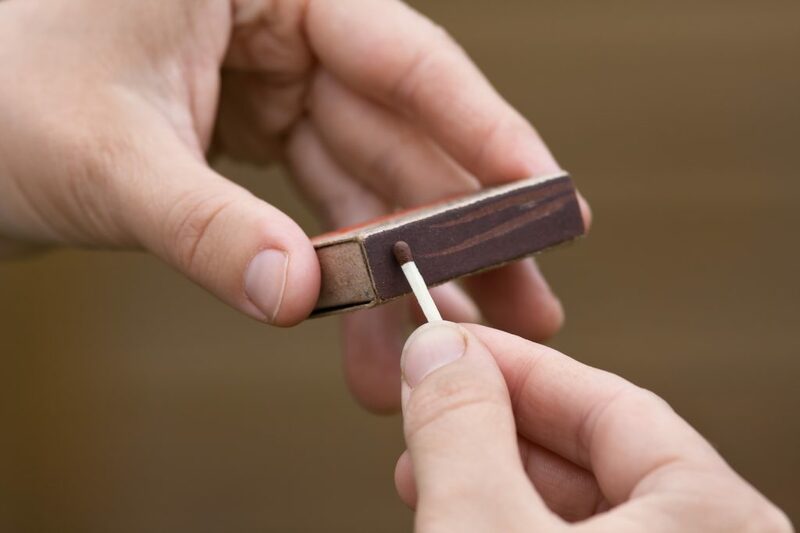 Give them a wedding favor they’ll never forget by using match boxes to help the groom-to-be propose at your reception! Hide the ring inside a special match box he’s designed for her, and then let him “make a toast” right after she catches the bouquet. We know that finding the perfect wedding favor can sometimes be tricky. But the truth is, everyone loves a candle. If you want to create a customized candle for each of your guests or let them choose from a variety of scents, also include match boxes with your favors. That way, guests can light them when they get back to their hotel rooms. Why should you and your partner be the only ones having a romantic evening on your wedding night? You want your wedding to be unique – so why should your favors be like everyone else’s? Make sure you’re giving guests gifts they’ll actually use and remember. Good things come in small packages, after all! For more information about where to buy the best match boxes, feel free to get in touch with us.